They say in India that to have patience, mercy, and understanding means to have a good mind. How convenient that in India to travel you’ll need a huge dosage of patience and mercy. And you’ll need to understand that different folks simply have different strokes. And you have to be okay with it. Well enough of that now. How about some photos. As I wrote in an earlier post, Thailand was beautiful. But I didn’t have to work hard to find that there. In India, mind you I spent most of my time in the northern part, I had to work to find it. Not convinced? 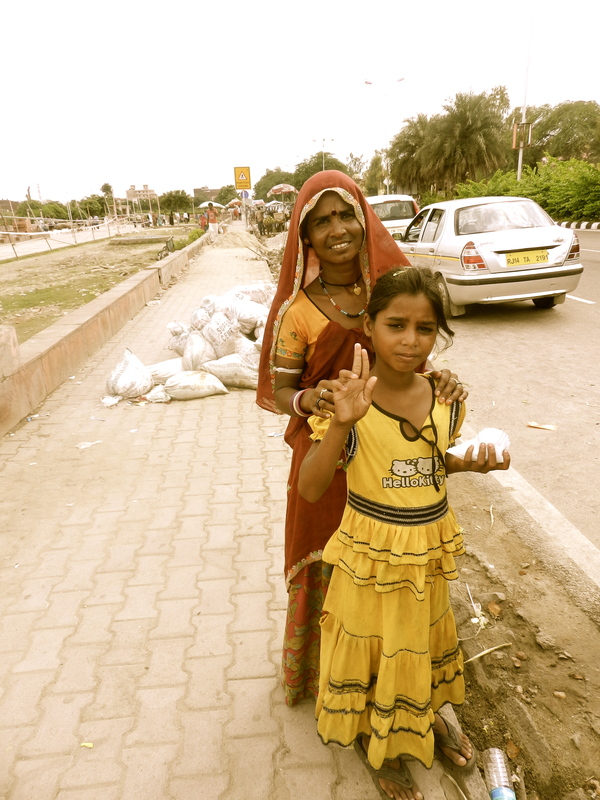 A woman and child, begged for a photo and immediately afterward wanted money, charging me for taking it. “Photo?” they ask innocently. They even begin to smile to show me what the photo could look like. I nod. Take a photo. I show them. I’m shaken, speechless, and I hand them ten rupees. They run off to the next tourist in line.